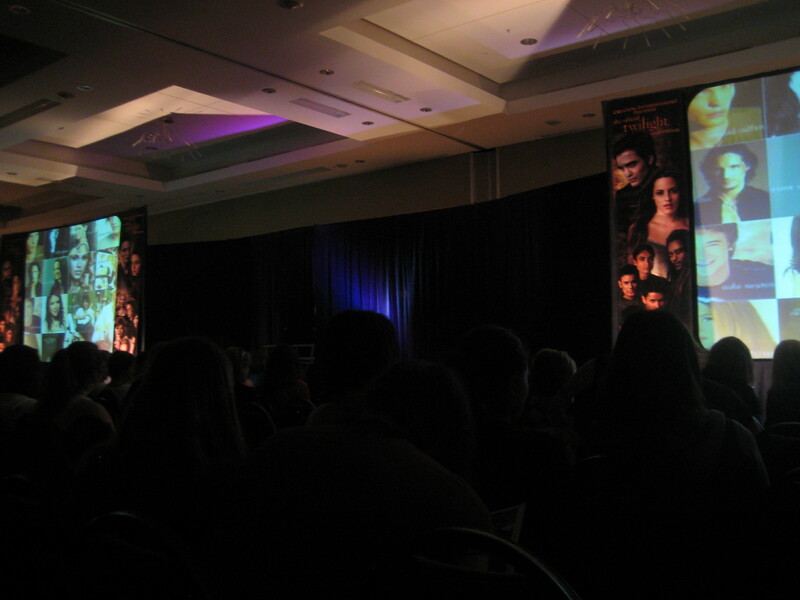 Today I went to check out Creation Entertainment’s Official Twilight Convention aka Twi Tour in Van – it was awesome! 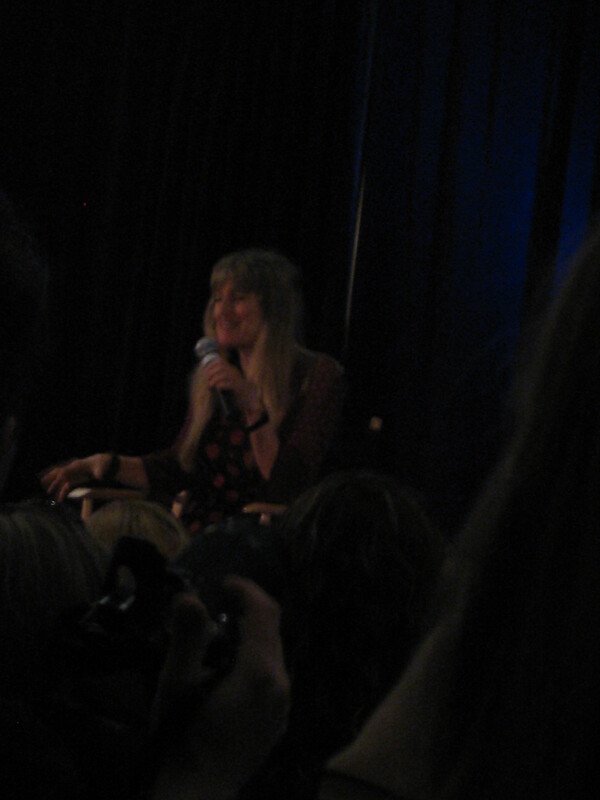 I could only make it today (Day 3) but it was definitely worth it to see Catherine Hardwicke (Director of Twilight) and Peter Facinelli (Carlisle Cullen in Twilight) and hear them speak about Twilight and their other projects. 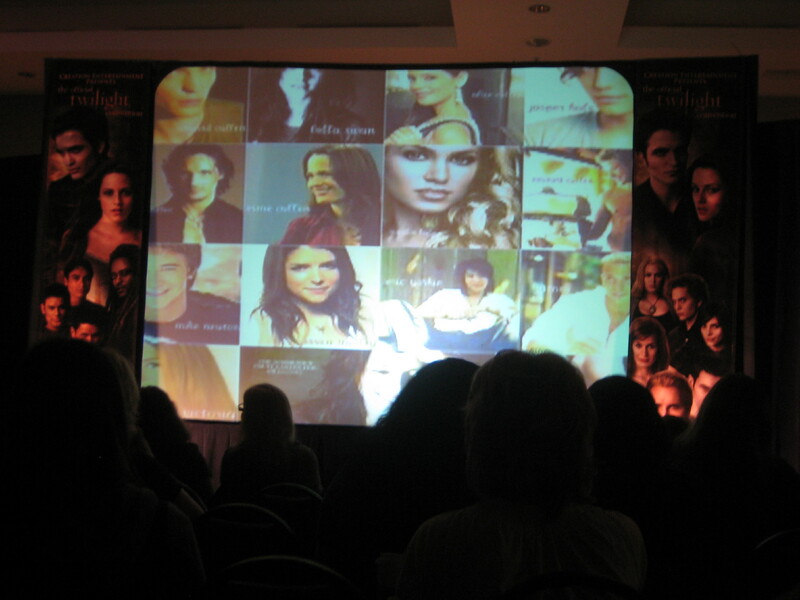 Twi Tour has been happening all weekend (Friday-Sunday) at the Sheraton Wall Centre hotel downtown Vancouver. Twilight cast members including Rob Pattinson and Kristen Stewart have stayed in this hotel during filming in Vancouver so it’s kind of a cool place to check out anyways if you’re a Twilight fan. Sisters Hilly and Hannah Hindi were there with their Hillywood Show co-stars to host Twi Tour and introduce the guests of the Twilight Convention. 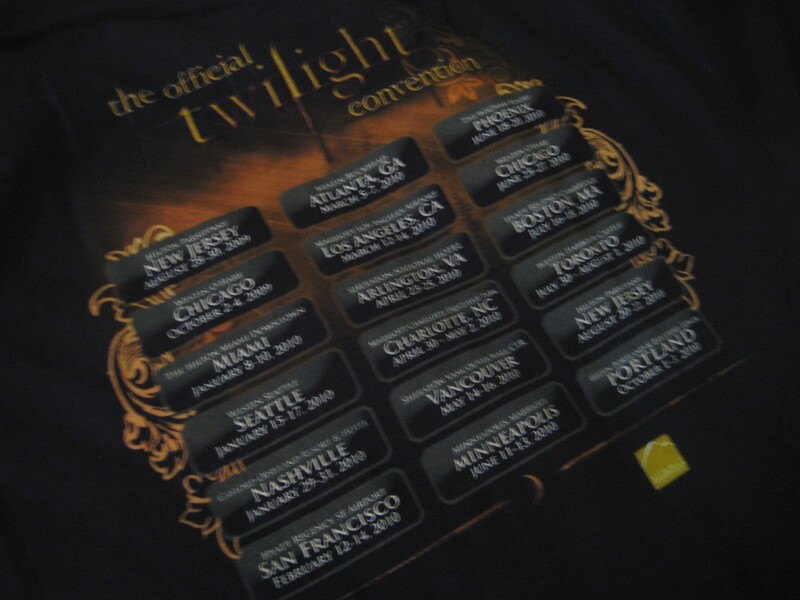 They were really down to earth, friendly people who interacted with the crowd and did on-stage parodies of parts of Twilight to introduce the next events on the schedule. The Hillywood Show also fielded audience questions to both Catherine Hardwicke and Peter Facinelli who were today’s guest speakers at Twi Tour. The Hillywood Show also debuted their New Moon Parody which was a mini movie they made mimicking and poking fun at New Moon the movie. They had their song and dance routine thing going on with songs like Pink – So What and Katy Perry – Thinking of You. 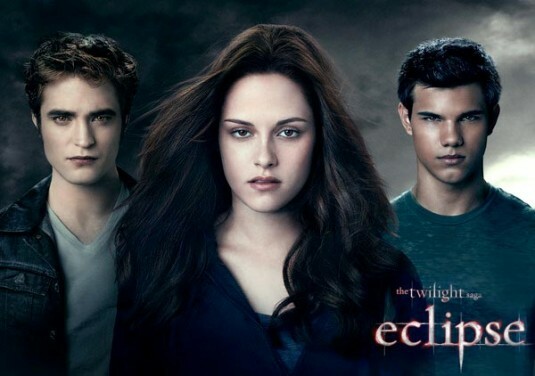 Their movie featured mock clips of scenes from both Twilight and New Moon in what can only be described as an extended super music video. It was really entertaining to watch. The Hillywood Show members use their own money to fund their projects and make their movies which I thought was really cool. Having originally found YouTube success with their Twilight parodies, they seem to have found a lot of recent success within the Twilight fandom and their hard work has payed off. 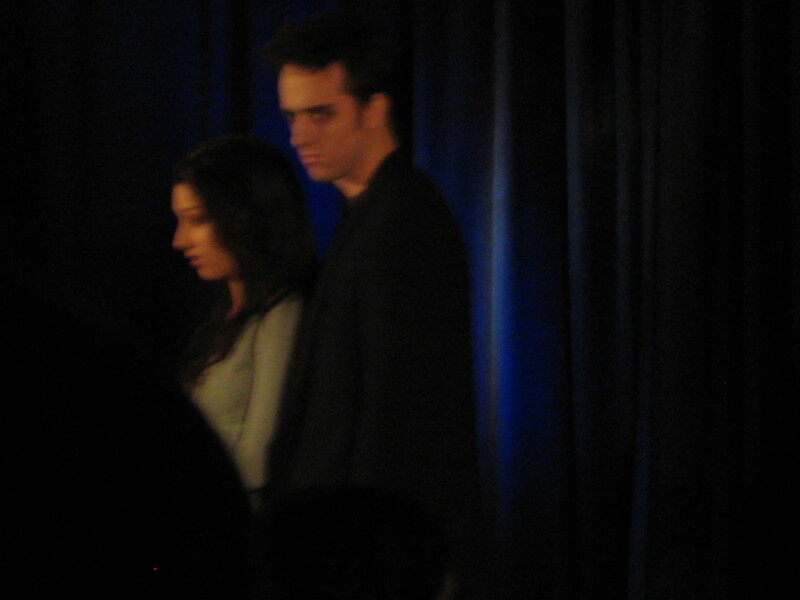 The New Moon Parody was really well done and I can’t wait to see what they do for their upcoming Eclipse Parody. 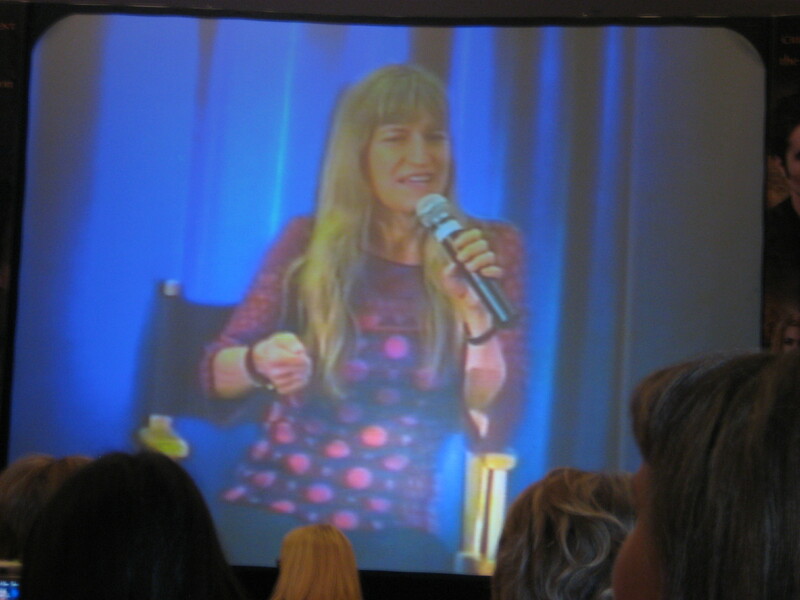 Catherine Hardwicke was the first guest speaker of Day 3 for Twi Tour and she really was such an interesting person to listen to. She is such an open and friendly person who you can tell has this genuine passion for film making and for Twilight. She spoke a lot about her creative approach to directing and how spontaneity and collaborative efforts are very much a part of her approach. Catherine described how she auditions and works with actors: by jumping right into the scene and acting it out with them rather than watching from the sidelines. She described Peter Facinelli’s Twilight audition for the role of Carlisle Cullen and how they worked on the scene at the end of Twilight where Carlisle is helping to save a vampire-bitten Bella. Catherine literally played the part of Bella for the audition by lying on the floor pretending to be in pain while Peter leaned over and had to help her. 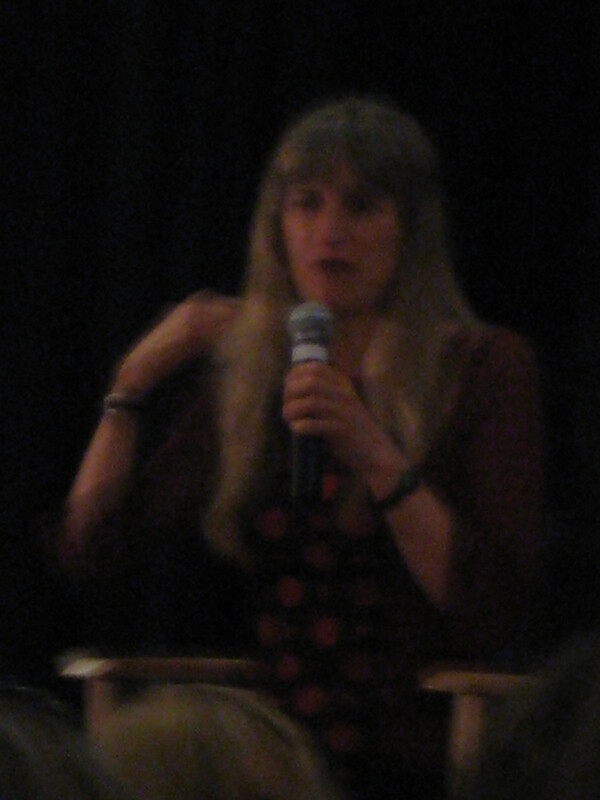 Catherine delved into a bit of discussion about the process behind Thirteen, which she wrote with Nikki Reed in six days straight. She described the difficult place Nikki was in at that tender age and how she was misunderstood. Knowing this, Catherine helped Nikki explore more creative activities and this culminated in them writing Thirteen together and acting out each scene as they went. A few audience members asked her about Lords of Dogtown and she spoke a bit about Heath Ledger and the loose and creative freedom he brought to the production of that film. Catherine also told the fans about her next big project to shoot in Vancouver – a modern gothic tale of Red Riding Hood which Leonardo DiCaprio is apparently heavily involved with in terms of both writing and production. Amanda Seyfried is set to star in the new movie alongside Shiloh Fernandez (who coincidently was one of the top contenders for the role of Edward Cullen in Twilight). Catherine told some awesome stories including a more detailed account of the Twilight audition process involving Rob and Kristen. She described how Kristen came over to her house and had to kiss these random top 4 guys narrowed down for the part of Edward Cullen. The audition was focused on the bedroom scene between Bella and Edward – an important scene that would reveal chemistry or lack thereof between two actors. Once Kristen had finished auditioning with Rob, she told Catherine right away that it had to be him. 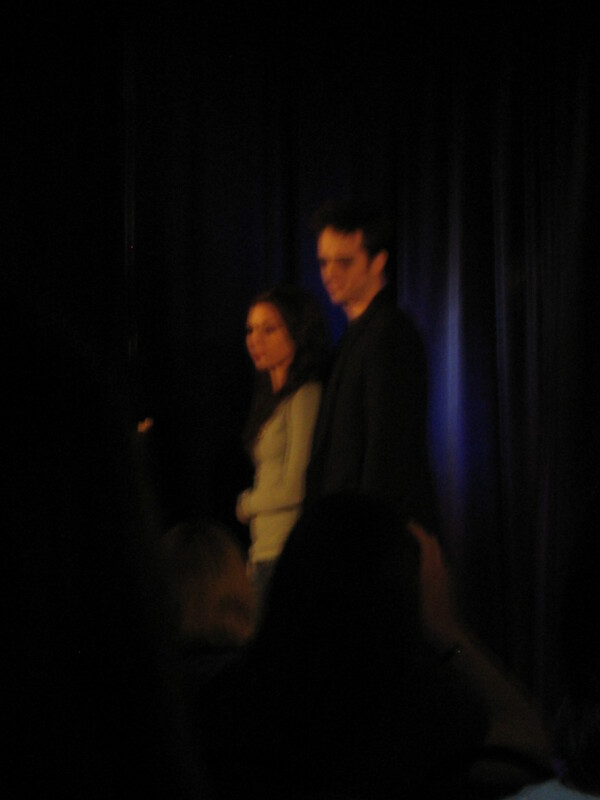 Catherine reviewed the audition tape and totally agreed that the chemistry was right there from the start. It was really interesting to hear Catherine’s insights about film making and fun behind-the-scenes facts about Twilight. She is really talented and I will always admire her work in bringing Twilight to life for the first time. 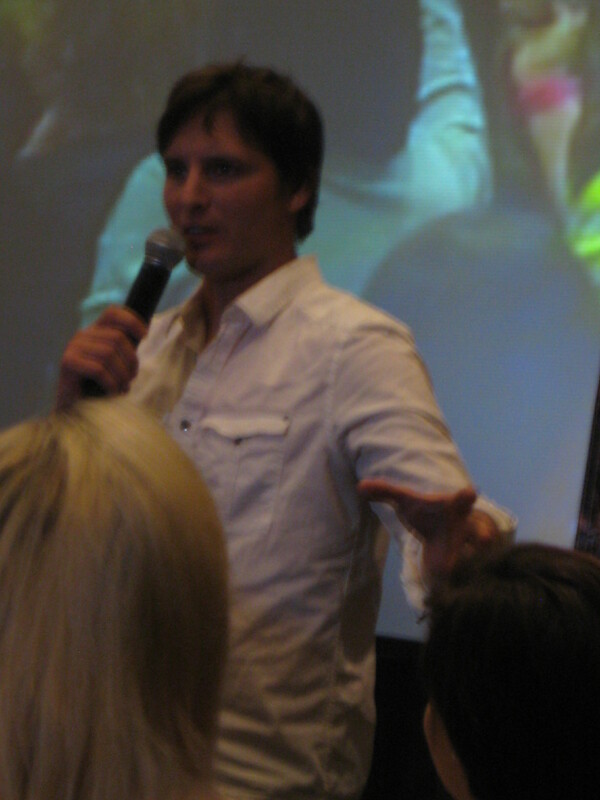 Peter Facinelli, also known in The Twilight Saga as Carlisle Cullen, was the second guest speaker at Twi Tour Day 3. Peter was amazing: he connected so well with the fans in attendance, he joked with us, mingled in the crowd, and he was really honest about himself. It was interesting to hear him speak about being really shy growing up and having not had any experience with acting and theatre at a young age. Now he’s this largely successful actor with both Twilight and the TV show Nurse Jackie as current projects and he just seems to be taking it all in stride. He joked about embarrassing moments such as spilling his Starbucks coffee right that second and later almost kicking his coffee over again. He described his love of Starbucks coffee and how he finds it funny how many Starbucks there are in our city (Along Robson there’s well over 4!). 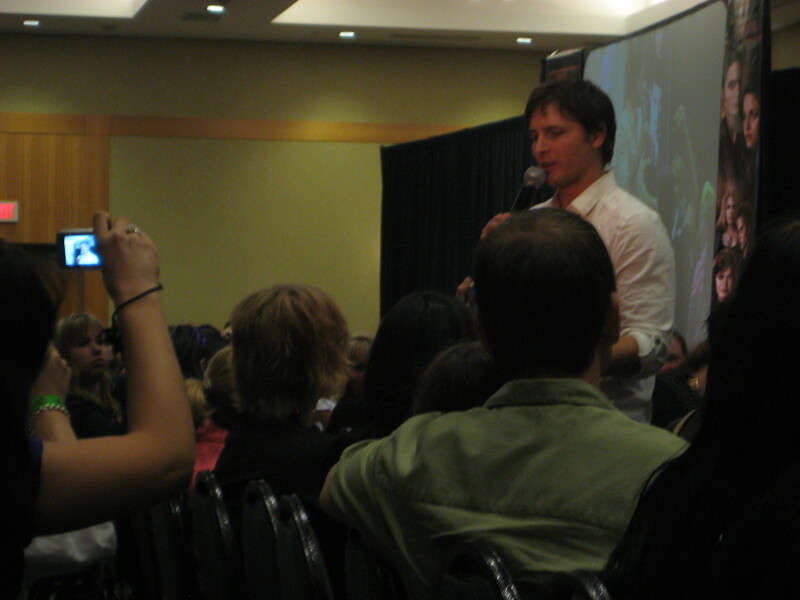 Peter also said he enjoyed hanging at Tojo’s in Vancouver for Japanese food during the filming of Eclipse. Peter gave us some insight on his hectic schedule and how he often finds the constant travel to be confusing. He was once in New York flying out somewhere and at the check-in desk when asked here he was travelling to he said New York! Peter was really humble and willing to joke around telling some other funny stories. He is the assistant coach of his daughter’s soccer team and recently walked up to what he thought was his daughter’s soccer team but it turned out to be a completely different group of girls who started asking if he was Carlisle. He then ran back to find his daughter’s team! Peter took many questions from the audience, one of which was if he would ever change his name? He said he doesn’t think his name is that striking and wants a name like John Wayne or a cool name like Johnny or Billy. 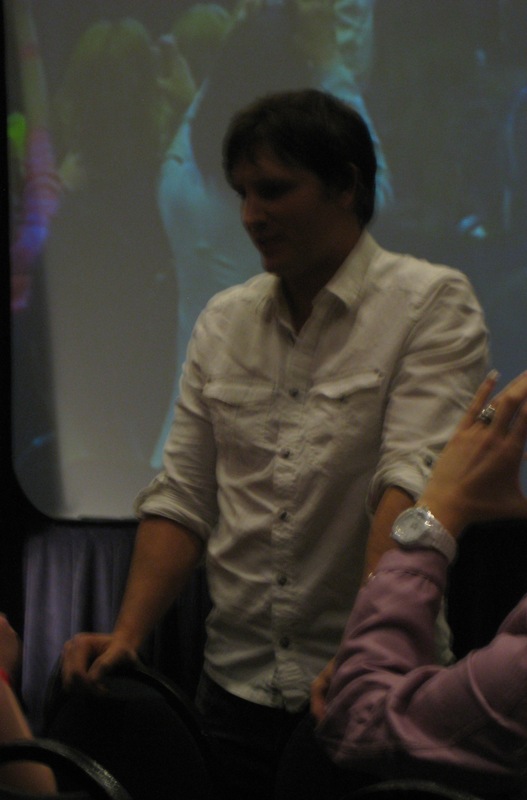 He was so funny and relaxed with the questions and even went as far as to hug random audience members whose questions were “can I have a hug from you?” Peter came right over to our side section of the audience for a bit and was mere inches away from us – very cool! 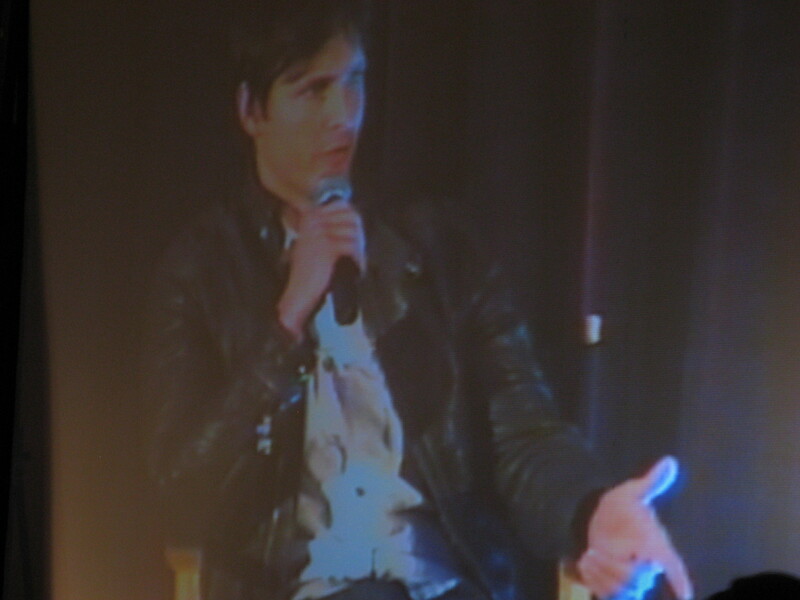 Peter also shared some thoughts on Twilight the book versus Twilight the movie and his own personal stake in that. Peter has been and still is a fan of the Twilight books and he studied for the role of Carlisle to help express the literary version of that character. It was nice to see that he easily shares this personal enjoyment of the series and it really does forge a connection between him and the fans of The Twilight Saga. He joked a bit about the Twilight movie and how random it is that Carlisle drove with Edward to the ballet studio in the movie yet he doesn’t actually get in there to help until the fight between Edward and James is almost over. Peter joked that Carlisle was taking an exceptionally long time to park the car out front! He made the crowd laugh and smile, and also took the time to give some serious advice about the film industry for aspiring actors. It’s clear that Peter truly cares for both his family and his fans which is amazing to see and it really made me happy to get to see him in person and get to know a little more about who this guy really is. He’s amazing! A really cool thing they did at Twi Tour was the Twilight Charity Auction with money going towards the Epilepsy Foundation which is a really good cause. 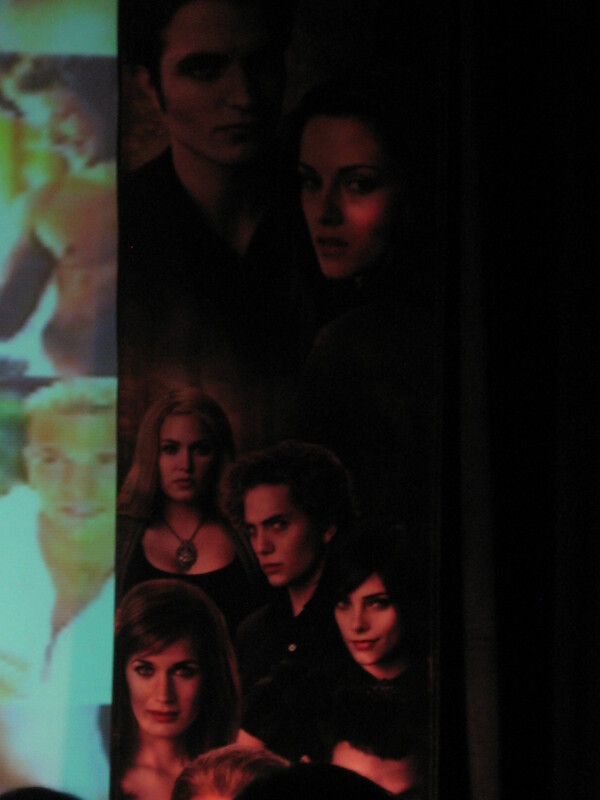 Since it was the last day of Twi Tour in Van, many of the banners for the Twilight Convention were up for auction and had been signed by various Twilight stars. 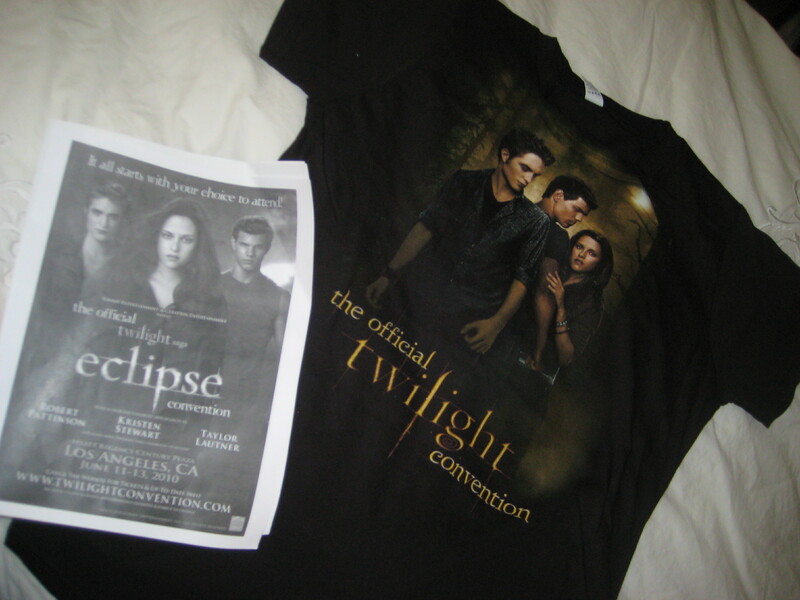 There was one banner that had been signed by Robert Pattinson and Kristen Stewart that sold for well over $600. 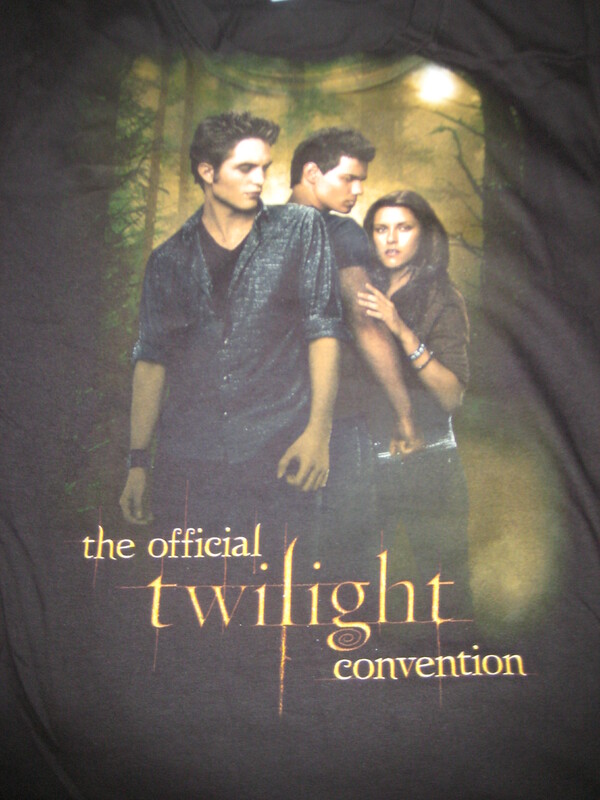 Widely recognized fan site Twilight Lexicon was there at Twi Tour to talk a bit about their early experience with the Twilight fandom. They told us about their set visit on the day that they were filming down at the beach where Bella and Jacob have their talk about the cold ones. They showed us their own interviews with both Taylor Lautner and Kristen Stewart from that day which was interesting to see because they seemed so happy and relaxed in the videos back from when they didn’t have chaos surrounding their films sets. They also revealed that Taylor Lautner was relatively unknown back then and they spent much of the day hanging out and talking to him as much of the focus back in the original Twilight movie was on Robert Pattinson and the Edward character. 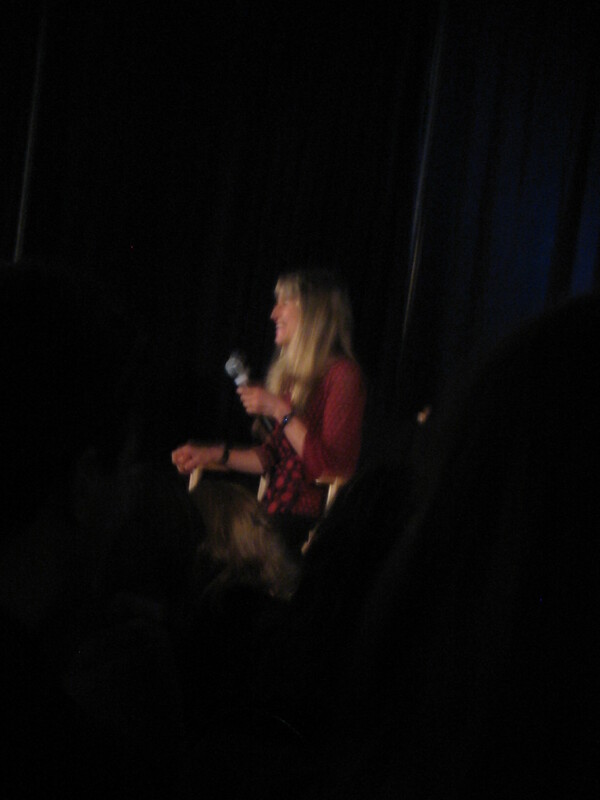 There was also some Q&A with Mandy who is well versed in set locations in Vancouver. Many fans wanted to know where recent Eclipse reshoots took place as well as the locations for popular places like Bella’s House and Jacob’s House. It was fun to hear some more detailed information about Twilight sets locally. It was interesting to note that there was quite a variety of people at the Twi Tour. I thought it would be full of young kids seeing as it was the weekend but there were people of all ages there and definitely lots of kids and adults alike. Some were decked out in costumes from the movies and others were in jeans and t-shirts. Everyone was super friendly and it was just nice to see a bunch of like-minded individuals (crazy Twilight fans) having a good time together at the Twilight Convention. I hope you enjoyed my experience of Twi Tour in Vancouver. Please note that all photos are my own and require a link back should you share them. Thanks again for reading!